A music note tattoo mainly symbolizes the love and passion for music or the feelings of energy and hope for a brighter future. 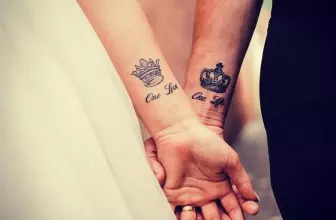 Due to the fact that music evokes strong emotions in many people, these tattoos could have a wide spectrum of meanings depending on the particular emotions a piece of music evokes in an individual. The difference in symbolisms of these tattoos is also as a result of the fact that the tattoos are usually combined with other symbols and notes which may replicate a piece of music, represent initials as music is represented by letters A through G, or signify a noble idea. Where On The Body Are They Best Placed? 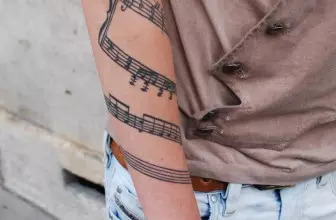 The origin of music note tattoos is one that is shrouded in mystery as there are no real historical records that document such origin. At least, we know that tattoos have been with us from time immemorial, and so has been music. 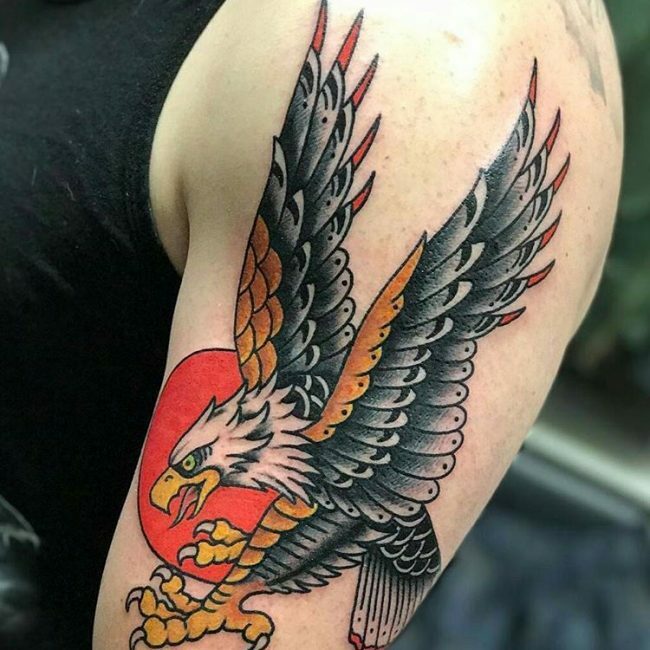 However, tattoos were almost a taboo in many societies and depending on the designs and ideas, different societies began giving them a positive reception at different times of history. When it comes to the music note designs, it would be safe to believe that the first people to popularize them were the musicians themselves, due to their love and passion for music. 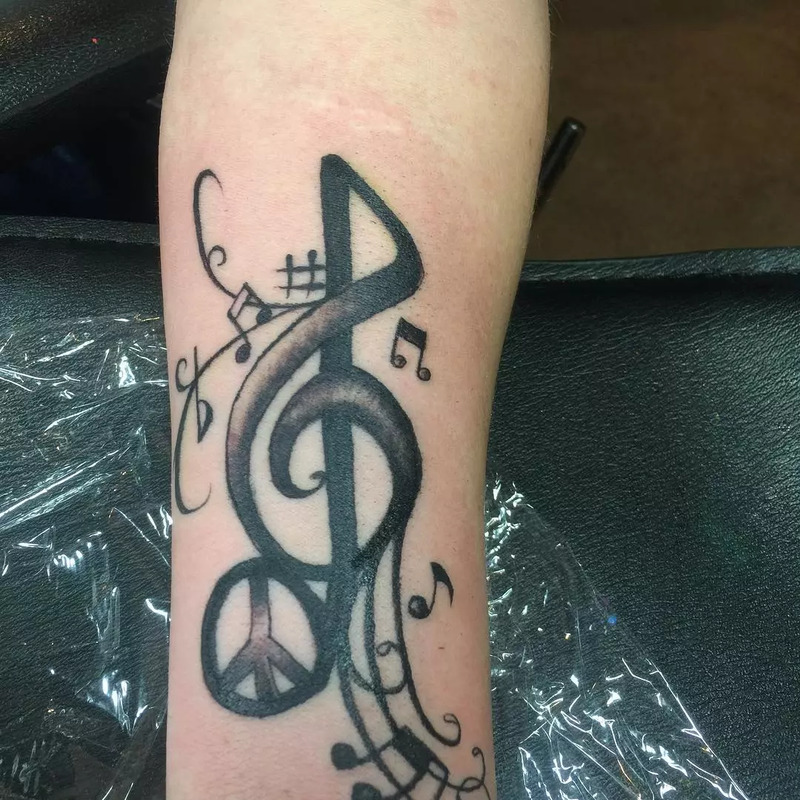 Perhaps the sad fact that will continue eluding us is the real origin of tattoos of the music note category but for all we know, musicians have done a lot in popularizing them, and hardly would you find a modern music superstar with not one or two such designs on their bodies. 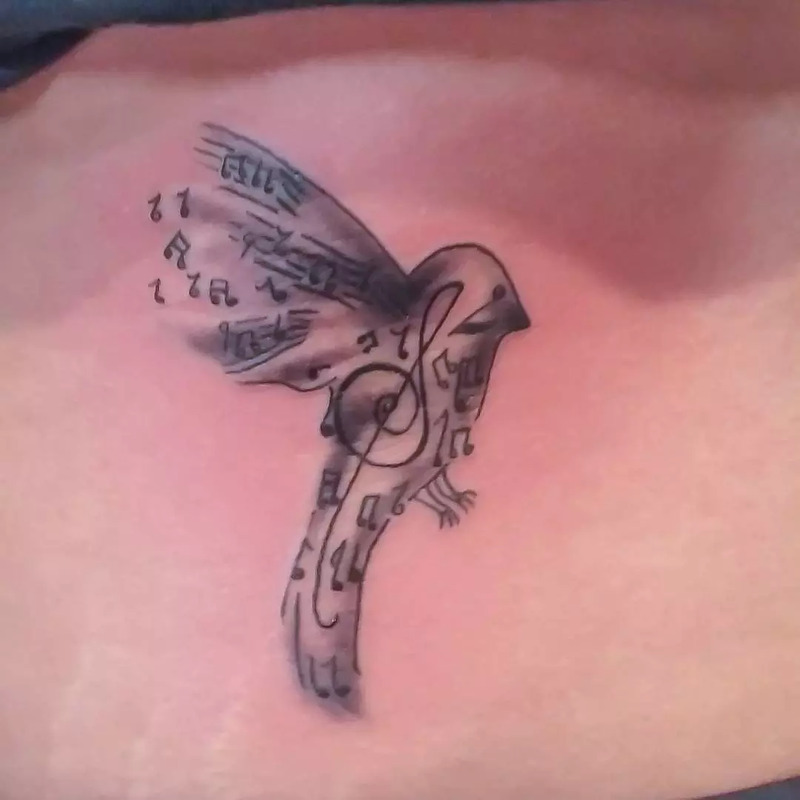 One of the popular music note designs is often one drawn as a swallow bird tattoo design with a music note. 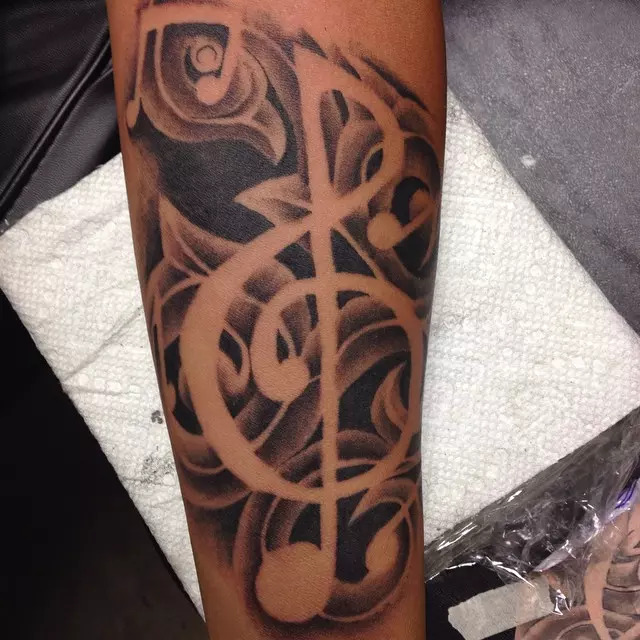 This is often a strong music note design that depicts one’s love and affection for music as well as loyalty towards it. As swallows are believed to transport souls of drowned sailors to heaven, these tattoos could be used to create a connection between an individual’s physical and the spiritual world through music. 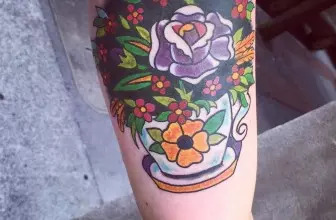 These tattoo designs could also used to depict a sense of the perpetuity and the timelessness of life. This is often captured better when the notes are drawn with a clock face, thereby giving an individual the sense that life is a perpetual state of existence. This sense of perpetuity is inspired by the notion that when life ends on this side of the grave, it is the beats of the drums of those we have lost that keeps us forever connected with them, and there is no better way to illustrate that than have a music note design drawn with a clock face. 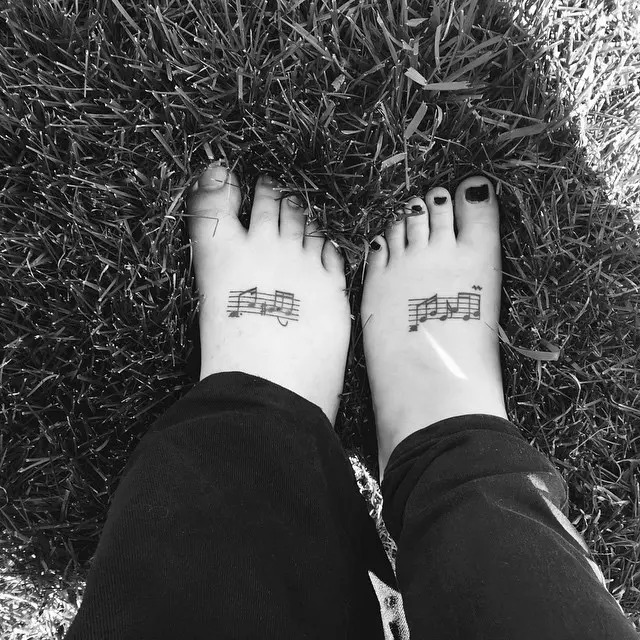 Music note tattoos could also be used to give a general feeling of an individual’s perspective and attitude towards certain subjects. When they appear with the lily, for instance, they could denote one’s belief in purity, chastity, and innocence. The feelings of purity, chastity or innocence, in this case, could have many connotations and aside from the obvious meaning of sexual purity, it could also mean the individual believes in music that advances these feelings and opinions. There is also the obvious meaning of love for a particular musical instrument. We have seen several designs drawn of different musical instruments such as the guitar, the keyboard, the piano et cetera. 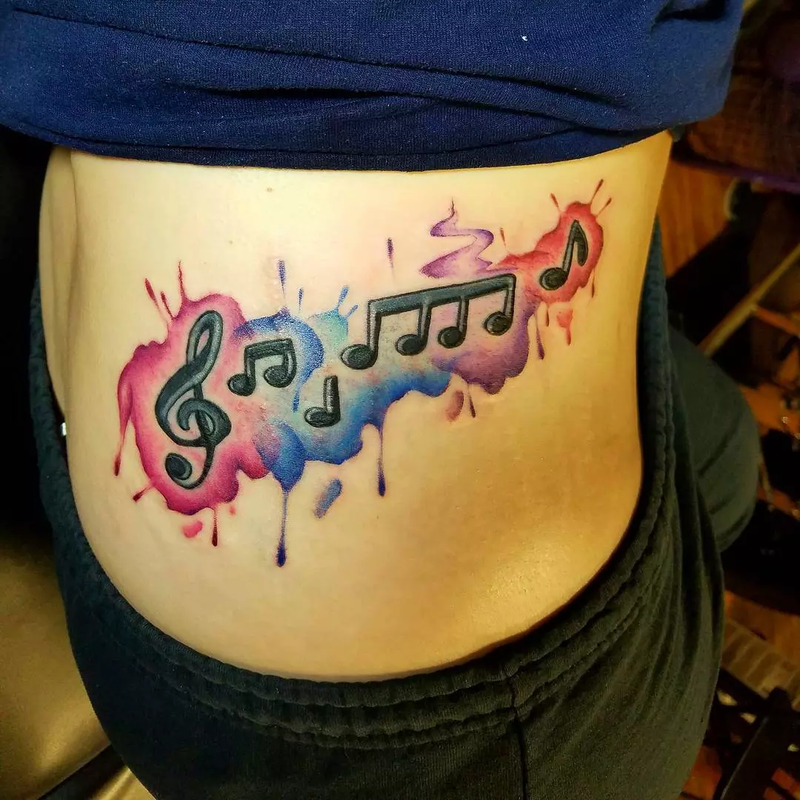 Music lovers have a preference when it comes to musical instruments and they often would wish to show their preference by drawing the instrument on their bodies in addition to the note tattoos. It should be remembered that some of these instruments, such as the gramophone and the ukulele could also be a means of connecting with one’s musical roots, as they are often considered exotic to certain regions of the world. Another important meaning of musical note tattoos is the fact that they offer nostalgic memories to some of the good times in the past. The truth of the matter is, music has been used to help evoke nostalgic memories – memories of a person we cherished, a place we spent in or a particular era. 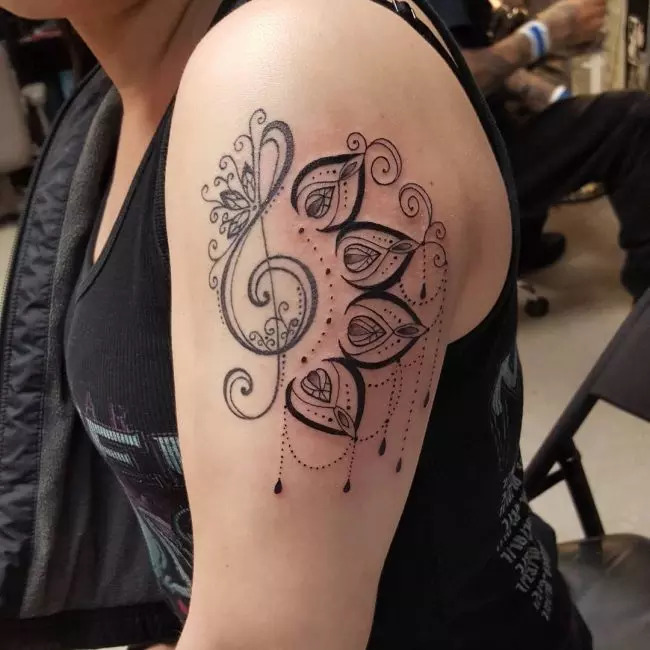 Music lovers will find it apt to draw music note designs on their bodies as it could be the shortest step to reconnecting and reliving these past moments. The drawings, in this case, could be accompanied by a short music lyric, the same lyrics synonymous with the time in question. Last but not least, music note designs are used to show some harmony with our favorite music superstars. There are many contemporary musicians with these designs on their bodies and how else would we show our love for them than have the tattoos too? It is not only a way of showing our love for their music but also a means of expressing our appreciation at their hard work and helping them feel we are part of their cause. Music note tattoos can be placed on various parts of the body depending upon an individuals’ preference. They could be placed on an individual’s wrist, arm or even elbow. The tattoos especially look better on men when placed on the chest or necks. For ladies, placing them on the ears, belly or on the forearm makes them stand out. 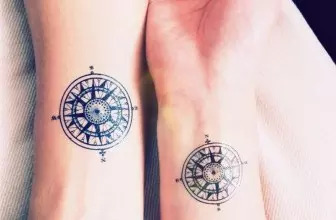 However, it is important to note that the area on the body where these tattoos are placed is determined by the size of the tattoo as well. 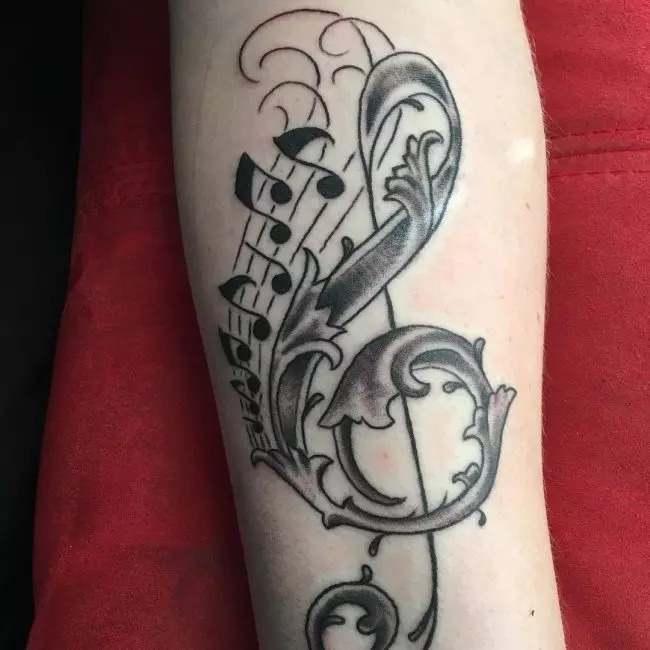 You could choose to have one big musical note placed on your thigh, or simply have several smaller versions of the same note placed on your arm or calf. Music note tattoos are not only some of the best tattoo designs ever created but also those rich in meanings. These tattoos attempt to pass messages using one of the most fascinating areas of human life- music. 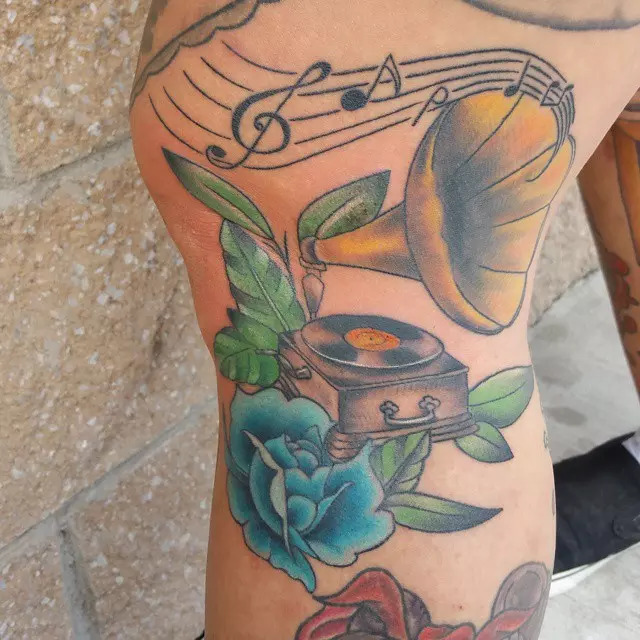 Music has had an overwhelming impact on the life of mankind and there is no better way of releasing the emotions evoked in us than through these tattoo designs. Regardless of the individual emotions, feelings or memories, they evoke in us, they will always serve the prime purpose served by music in the life of mankind, that of acting as a medium of expression for the most subjective feelings and opinions.